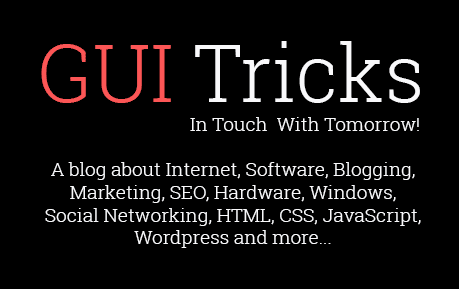 How to Boost Your Windows Performance | GUI Tricks - In Touch With Tomorrow! 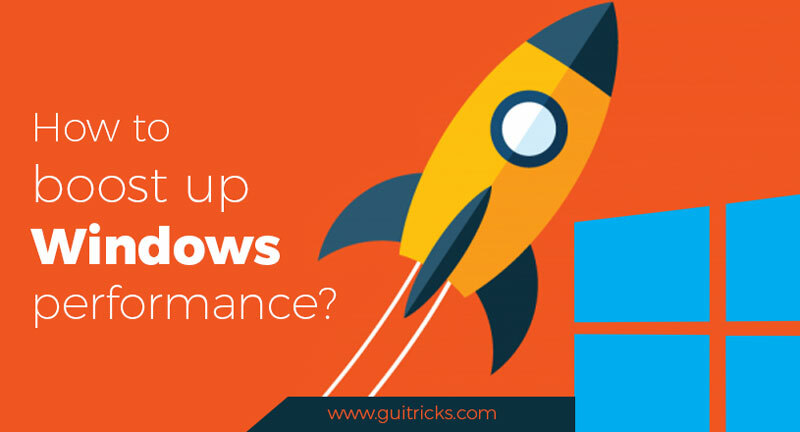 How to Boost Your Windows Performance - GUI Tricks - In Touch With Tomorrow! Windows users always admire its compatibility and user-friendly interface while performing different tasks seamlessly. Started from Windows 1.0 in 1985 to today’s Windows 10 version, Microsoft has always tried to keep its operating system full of amazing and useful features. Despite being one of the most potent systems, Windows are not immune to some common computer performance issues. In this article, we have discussed ways to help you boost your Windows system performance instantly and effectively. Windows keeps on releasing software updates at regular intervals to keep your system performance intact. These updates are meant to fix certain bugs, add security patches and other useful features to improve your system performance. Try to download all software updates that you find automatically in notifications. 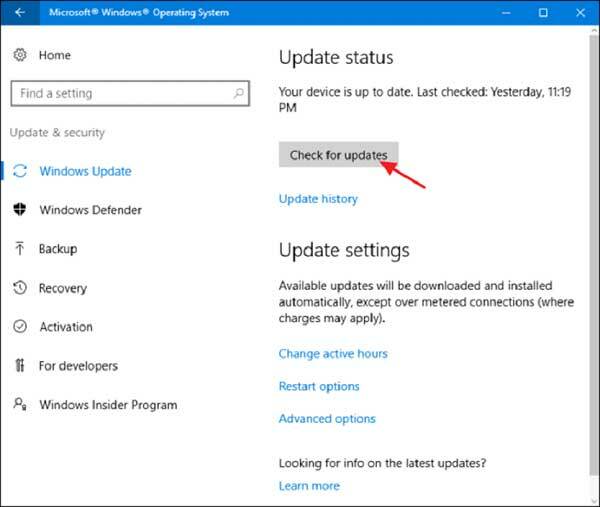 Apart from it, you can also look for updates manually by searching “Windows update” in the run box and selecting it from given options. It will open a new Windows updates window, click on “Check for updates” there. Here, it will start searching for all latest available updates and display it to you to help you update your system. 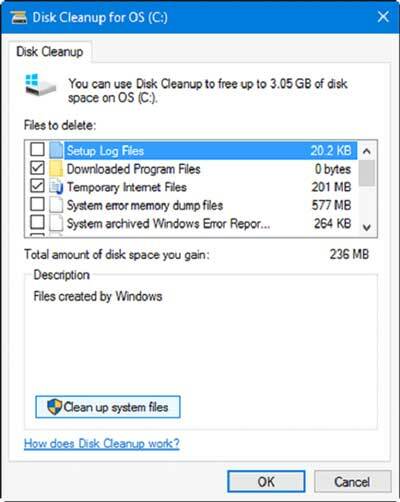 You can use built-in Disk Cleanup utility on your Windows system to find and delete all junk files. To access this utility, search “disk cleanup” in the run dialog box and select it from there. On Disk Cleanup window, select the files you want to delete and press OK. You can also tap on “Clean up system files” option to remove old & obsolete system files. You can use this instant utility to disk cleanup in Windows. Drivers play important role in keeping your overall system performance intact. You should check for all available driver updates to smoothen your system performance. To use this feature, search “device manager” in the run dialog box and select it from the given options. Once you are on Device Manager window, select the category to update the drive. 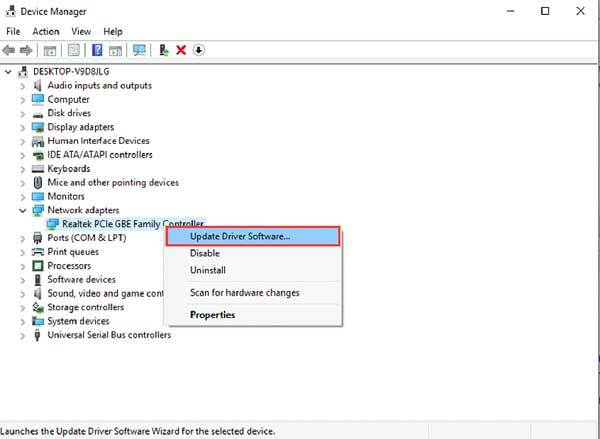 To do this, right-click on the selected category and choose “Update driver software”. 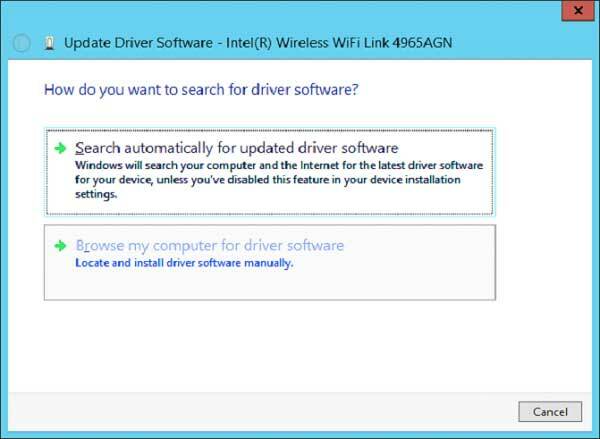 First, “Search automatically for updated driver software” that will automatically update the driver software. Second, “Browse my computer for driver software” that asks you to browse the driver location to update it. You can remove unnecessary startup items that run during boot time to improve your startup process significantly. To do this on Windows 7, search “msconfig” in the run dialog box to open System Configuration window. Now select Startup tab to find all startup items. Sift through the list to find unnecessary programs and uncheck them to stop them running during boot time. Press Apply/OK and restart your system to see changes. 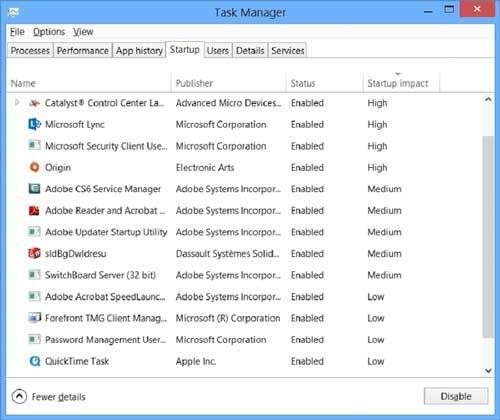 To do this on Windows 8 and later, right-click on Taskbar to select Task Manager. On Task Manager window, tap on “More details” button and then Startup tab to view all startup programs. Sift through the programs to find unnecessary ones. To disable any program, right-click on it and choose Disable. Reboot your computer. You can consider uninstalling bloatware and other unnecessary programs to recover some disk space and improve system performance. 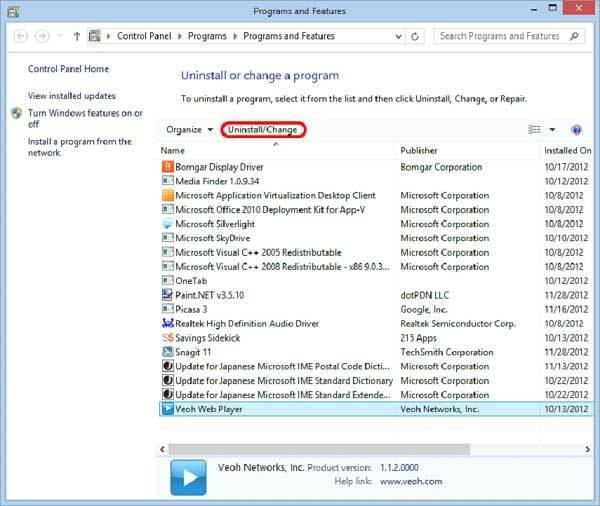 To remove any program on Windows 7, go to Start menu > Control Panel > Programs & Features. 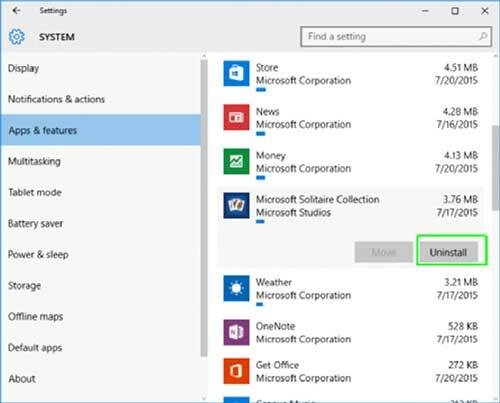 Here, sift through the list to find unnecessary programs, right-click on it and select Uninstall. 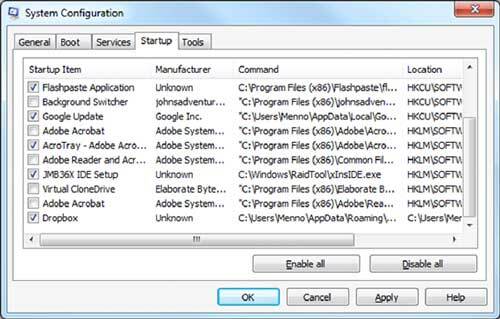 To remove unnecessary programs on Windows 8 & 8.1, open Start Context Menu and select Programs and Features. Here, select the program and then press Uninstall to remove it. To do this on Windows 10, go to Start menu > Settings > System and select Apps & features from the left pane. 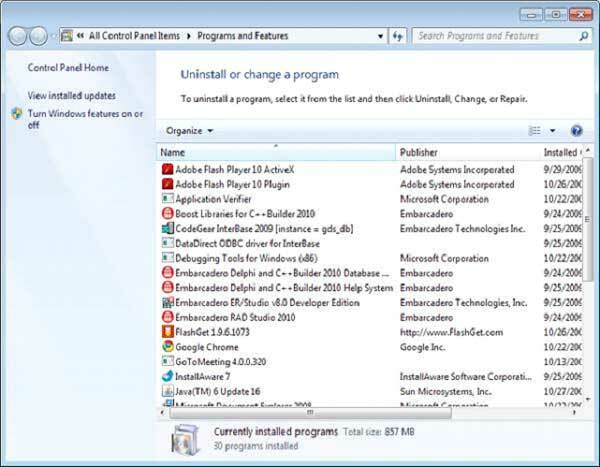 Sift through the list to find an unnecessary program, select it and press Uninstall to remove it. Windows offers various built-in utilities to deal with numerous performance related issues. These utilities help you recover disk space, protect your system from malware threat, keep your software update and help you in different ways. Apart from using built-in utilities on your Windows system, you can also try third-party tools for instant and effective results.